Moderate day walks. Long walks are between 2-4hours and short walks are 10 minutes to less than hour. 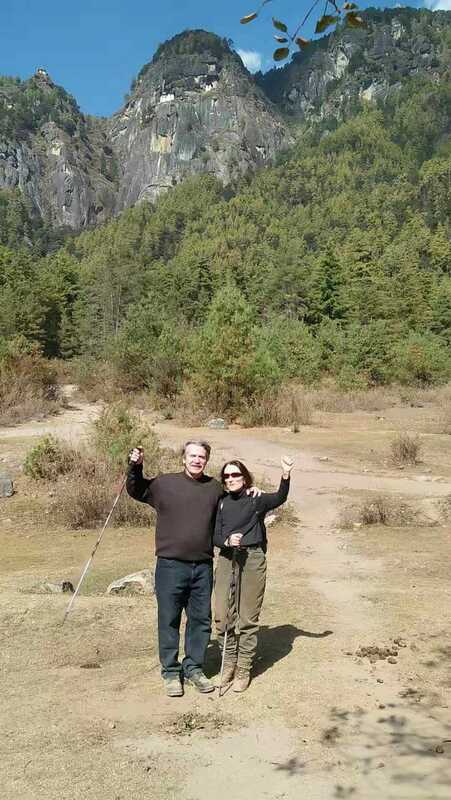 The Best Way to see and experience Bhutan; by many short light/moderate day hikes. Visit weekend markets, villages and local homes, opportunity to meet with local folks, local schools and others. Most dates are also tied into attending one or two festival. 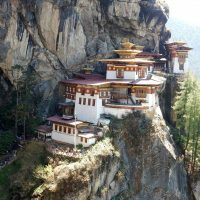 This beautiful tour around Bhutan’s most scenic places takes us to the country’s finest locations with an unparalleled diversity. This is one of our signature trips that we started first in 1999. Along the way, we have made few necessary and recommended changes. This is the perfect trip to experience the delight of crossing high hills as well as the wide windswept meadows filled with wildflowers, across sleepy hamlets, through fragrance filled forests, rice fields and orchards. 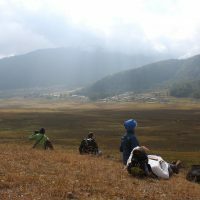 There is no real trekking that requires outdoor camping with exhaustive long day walks; but it has moderate hikes and excursions to villages from the comforts of your Hotel. An active vacation without roughing it! The itinerary covers the regular tourists’ sites, as well as some off- the-beaten places. 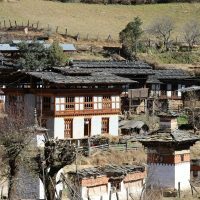 Walk out to visit villages, farms, and monasteries and ancient temples from the towns of Paro, Thimphu, Punakha, Wangdue phodrang and travel as far interior to Bumthang District. Between the drives, we shall make unplanned stops at local villages. All of our small group departures are scheduled to attend the local festivals and therefore some parts of the itinerary may be revised slightly to incorporate these colorful events. 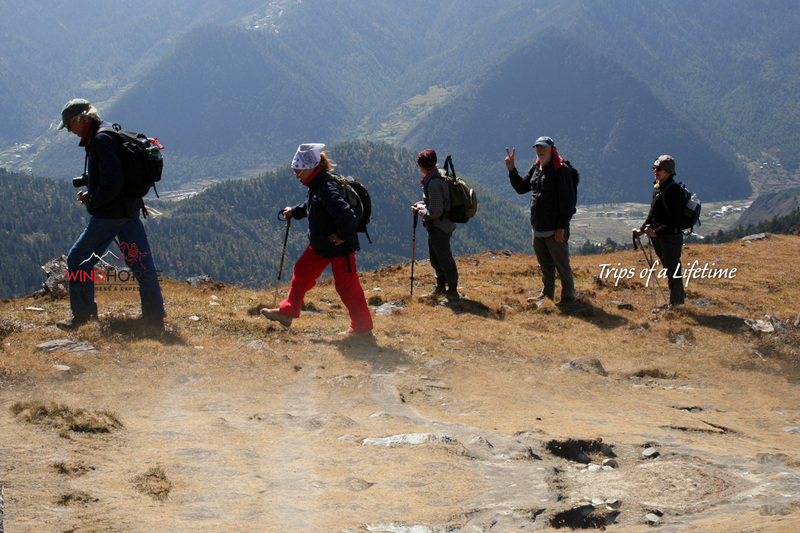 We sincerely believe that walking is the best way to enjoy and experience Bhutan and this itinerary has been tried and tested over the years. Day 1 & 2: Arrive & tour Paro valley. Arrive by flight into Paro. Upon arrival you are met by Bhutanese Guide and driver and transferred to the Emerald green Paro Valley at 7,500ft, is one of Bhutan’s most beautiful and most fertile valley. Numerous shrines, fortresses and farm houses dot the landscape and graceful willow trees grow along the edge of Pachhu river, which passes through paddy fields and farmlands. During our time here, we will do many short easy walks in the valley and cover visit to local villages, farm houses and also some of the popular monuments and attractions such as the Rinphung Dzong, Dzongdrakha, Kichu Lhakhang. Dungtse Lhakhang and the ruins of Drugyal Dzong. 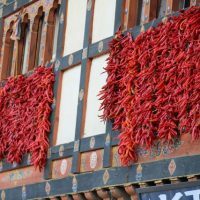 We also have two evenings to stroll the charming small town of Paro, lined with colorfully painted wooden shop fronts and restaurants. In the morning take a short 20 min flight east into the central heartland of Bumthang district. 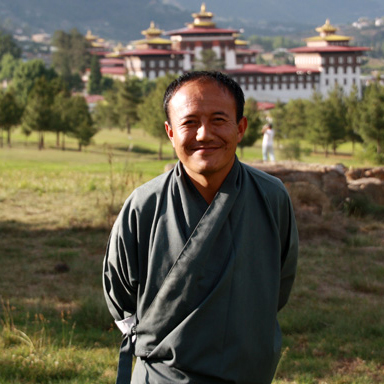 Meet your guide and driver and drive for about half hour to the hilltop Padselling monastery. After exploring the monastery, interacting with the monks, begin 2-3hr walk over the hill and descend into Bapzur village in Tang, where we can visit Pema Tekchok Choeling Shedra a large nunnery. Meet your vehicle and drive further north, passing through several villages for about 1hr along the rough road deep into Tang valley. En-route we stop to visit Rimochen Lhakhang and walk to visit local village. We have Horse Ranch here and if they are free, you can ride in the valley and tour the villages/ local school etc. 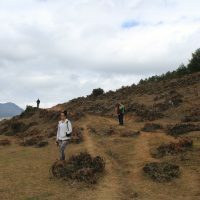 Tang is the most remote of Bumthang’s four valleys. There is a dairy and sheep farm and not so long ago, locals were yak herders. Overnight in a simple village lodge. In the morning we walk to visit Ogyencholing Manor and museum. Explore the area further and drive to Jakar which takes about 2hrs. Along the way we stop to take a peek at Membartsho gorge. In the afternoon, visit Jakar Dzong and walk downhill into the town area, passing through local village, visiting some hidden shrines/temples along the way. In the evening, visit Kharchu Drastang monastery, possibly during their evening debate and prayers. Visit Swiss Farm area. Stroll through the township. 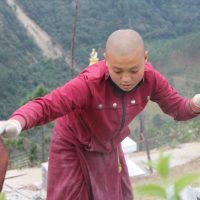 Our agenda for today is to journey along a scenic forest trail for about 3-hour hike, gradually climbing uphill to Tharpaling Monastery, one of the most important monasteries founded by Longchen Ramjamba, the famous saint in the Nyingmapa sect. Meet the vehicle and drive down to Chumey valley, and continue over Youtongla Pass to Trongsa (2hrs). Upon arrival in Trongsa, visit the imposing Trongsa Dzong and the Tower of Trongsa Museum. In the evening stroll around the town. Overnight hotel in Trongsa. Drive till Pelela pass, from where we take a side diversion road into the hidden and beautiful Phobjikha valley, a protected wildlife conservation area within Jigme Singye National Park. From mid October till March, this beautiful valley is also winter home for rare black necked cranes that migrate from Tibetan Plateau. Visit ancient Gangtey Gompa, one of the oldest Nyingma monastery, located atop the hill. Then walk along the nature trail, a footpath encircling the winter roosting grounds of the crane, for about 2hrs. When the crane is not in residence, walk to the local villages, and also visit Nature Info center. A short scenic drive through ever changing vegetation brings us to Punakha and Wangdue valley. Visit Richengang, a unique village with houses clustered together. 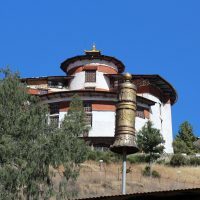 Later walk short distance to visit Chimi Lhakhang temple, dedicated to Lama Drukpa Kunley (1455 – 1529), popularly known as ‘the divine madman, a folk hero and a cultural icon around whom countless yarns of facts and fiction, stories and legends have been spun. Overnight hotel in Punakha valley. Punakha and Wangdue Phodrang are administrative centers of their respective district. Located close to each other and being in the same valley, they are often described together. Compared to Thimphu, Paro or valleys of central Bhutan, Punakha-Wangdue valley is at a lower elevation of about 1250m above-sea-level. Therefore it enjoys semitropical climate. The valley boasts two crops a year, along with growth of oranges, bananas and other subtropical fruits. Punakha was also the former winter capital of Bhutan, the tradition that is still followed by central monastic body. 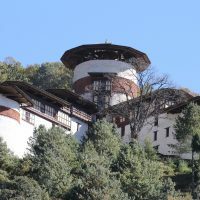 The head of the clergy with his entourage of monks spend the winter in Punakha Dzong and summer in Thimphu. Drive to the idyllic countryside north of Punakha, and start forty-minute walk up to Khamsum Yuley Namgay Chorten on Nyinzergang hill. 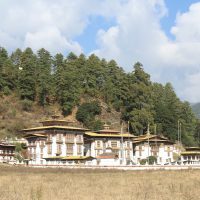 Upon return, drive back to visit the architectural wonders of the 17th century Punakha Dzong, straddling at the confluence of Pho and Mo rivers (male & female). From Punakha Dzong walk across the bridge, and gradually climb up the hill for about 2-3hr to Limukha village. Meet your vehicle near Limukha and drive to the hotel. Overnight hotel, in Punakha valley. Drive from the sub-tropical Punakha valley to 10,500ft at Dochula pass in two hours. 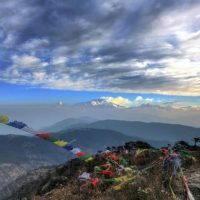 After enjoying the spectacular panoramic views of Bhutan’s snow capped peaks along the Tibet border over cuppa and snacks at Dochula, begin 2hr ridge top walk to Lungchuzekha temple/ retreat center. The trail is through rich vegetation of moss laden birch, hemlock and rhododendrons trees, with excellent views of peaks and the valleys. This trail is adopted by Wind Horse since 2009. Our guides clean and maintain this trail. Picnic at the monastery. The views are astounding and the walk is through rich fir and rhododendron forests. 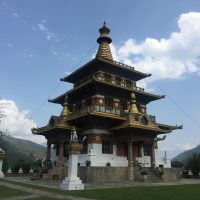 Instead of returning to Dochula, walk 1hr downhill to another retreat and monastic center of Trashigang located on a hilltop, from where we meet our vehicle and drive short distance to Thimphu, where we visit the great Tashicho Dzong, and the giant Buddha statue as the sunsets in the valley. We have a full day to tour and visit the capital of Bhutan as per interests. You can visit Memorial Chorten, Takin Preserve, Zilukha nunnery, Traditional Art School, Hospital for traditional medicine, National Library, Textile Academy and Museum, Changlimithang ground where you may see Archery, Centennial farmers’ market, which is more vibrant over the weekend (Fri-Sun) or you can spend half day hiking to Cheri or Tango Monastery north of Thimphu. You can decide these activities with you guide when you are here. After breakfast, drive for about an hour to Paro and continue north to the trail head. 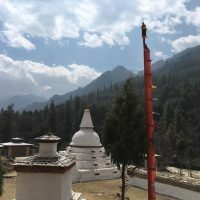 As you will have covered more grounds on foot and well acclimated by now, we hope to take you bit beyond what regular tourist generally cover; that is to hike to the legendary Takstang (tiger’s nest) monastery and also to visit some of the temples higher-up like Zangdopelri and Ugyen Tsemo. This special hike beyond Taktshang provides a rare view and look at the Takstang monastery and also its surrounding temples, monasteries and hermitages. Return to Paro for farewell dinner. For events and festival, Please check cost and dates. Customize a Private Walking Trip with your own dates & duration. If the dates don’t work or the duration is too long or short, we can customize a walking trip based on your abilities, duration, interests and other requirements. If you add two more days, we can incorporate Druk path Tsaluna trek from Thimphu to Paro. Similarly, there are many other day excursions from Thimphu, Paro or Bumthang that can be incorporated. 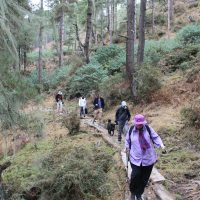 Walking is one of the best ways to experience Bhutan and we have done all walks in Bhutan over the years to know them well. After learning about your interests, we can put together this special and unique trip for you. Call or email us with your phone number to discuss the possibilities. For private trip using the same itinerary and hotels, the cost will increase between $100-200 per person. Group SizeMaximum 9 passengers for small group journeys or any size group for private departures. Trip SeasonsFor private tour, it can be done throughout the year however for the group departure we align with festivals in Spring or Fall. Starting from $2775 Per person. 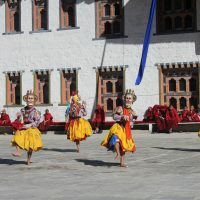 Plus airfares to and from Bhutan depending on where you fly in or out to. Bangkok-Paro-Bangkok at the time of print is costs $850 per person Cost vary for private trips. 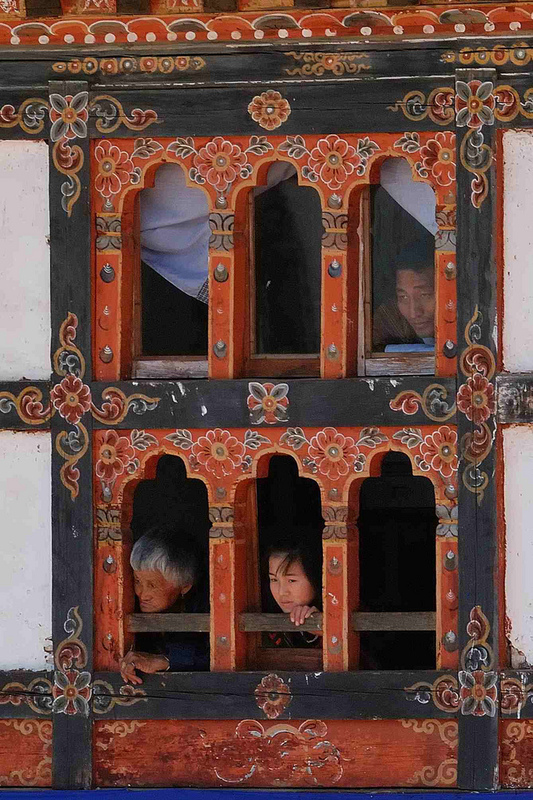 Domestic flight Paro-Bumthang $185 per person. 10 Oct, 2019 22 Oct, 2019 Attending Thangbi Mani Festival Available Book now! 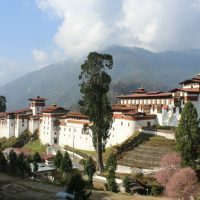 10 Nov, 2019 22 Nov, 2019 Attending Jambay Lhakhang Drup & Parker Tshechu Available Book now! All meals, evening tea/coffee etc through-out the tour in Bhutan. Experienced English Speaking Wind Horse Tour Guide. Paro-Bumthang flight as listed separately. One of the guest fondly remarked ” Yeshey Penjor may be short in stature but he walks real tall in term of dedication, knowledge and the way he carries and does his work” Except perhaps during the nightmare at night, he wear his smile almost all the time. His soft spokenness and demeanour make him most sought after guide for guests travelling with kids. He gel with kids like as any good adhesive and impress the adults with his profound knowledge on subjects and his conduct. For over 5 years he has been leading guests with panache and authority both culture and trekking. But he jumped gleefully into when he is assigned to do the trek. 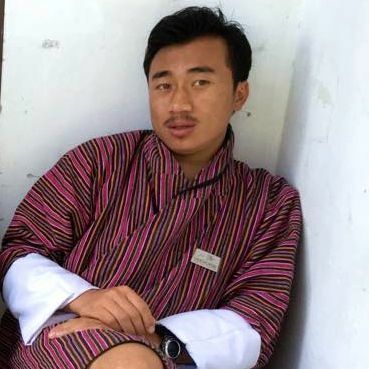 For his love for lush natural amphitheatre of vegetation and wildlife date back to growing days in far flung village in Mongar ( Eastern Bhutan). He make up his lack of interest for sport with serious hiking. 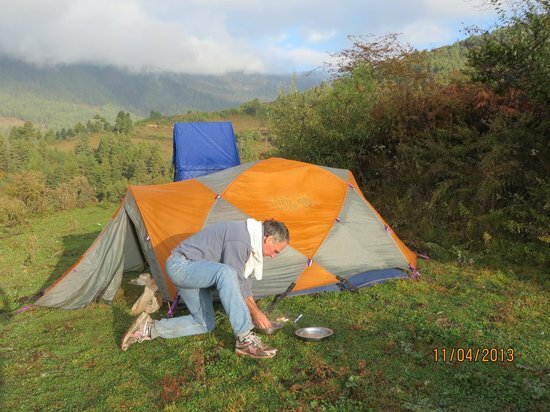 The best place to find him over weekend or free time is at camping hotspot within the vicinity of Thimphu. We visited Bhutan once again with Wind Horse. The trip was excellent and personalized as we travelled further into the Haa valley where we would have gladly stayed longer. 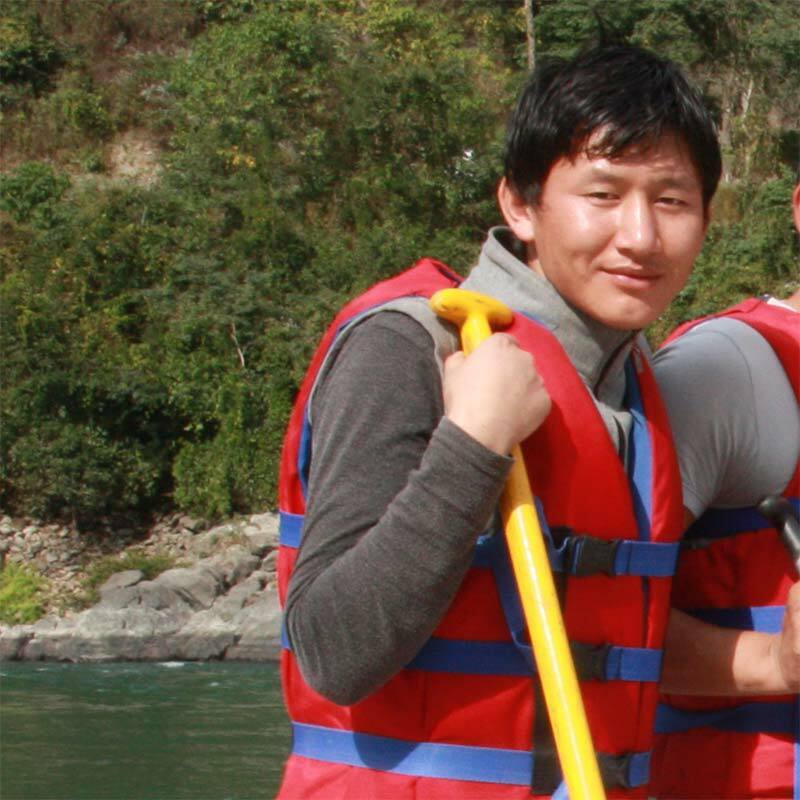 We had a very dedicated and intuitive guide, Tashi, who teamed up with driver Pema. Both were well-versed in Buddhist interpretation of temples and sites (a significant plus!). Small is definitely beautiful - Bhutan, roads, hotels, gardens, shops. Truly a delight. Thank you, Wind Horse, for a great tour through Bhutan. Our guide, Thinley, and our driver, Sonam, were fantastic. We really could not have asked for better - they constantly surpassed our expectations in terms of their organization, knowledge, thoughtfulness, and their kindness and willingness to share their culture. Just one example: when we were going to the festival in Bumthang, they (unknown to us) went to the site at 6 am and claimed us space in a prime viewing area. We loved all of the properties where we stayed, and all of the tours you arranged for us - they fit our interests perfectly. If there is one thing I would have changed about the trip, it is the quality of the vehicle we had - it really was not as you promised ("good quality vehicle"), especially considering that we saw several other Wind Horse tour vehicles, all of which were much newer and in better condition than ours. Instead, our vehicle was distinctly underpowered and did not have working heat, air conditioning, defroster, or windshield wipers. We did appreciate that when we complained, you were willing to change out the vehicle for our long drive from Bumthang back to Paro, but wish you had not conditioned that offer on our changing drivers, too. We wish you would have just provided a better vehicle from the start, because we were not willing to change DRIVER at that point just to get a better vehicle...we loved Sonam! I don't know how many of your other clients had been able to book the flight from Bumthang to Paro (and I still don't know whether we simply booked too late -10 months out- to get that flight or if someone at Wind Horse dropped the ball somewhere along the line), but given that you knew we had to make that long drive, a vehicle with working heat, AC, seat belts, windshield wipers, and sufficient power was essential, and instead we had a beat up older vehicle that nearly every other vehicle on the road passed. Really, it was way below the quality we expected, and that we saw provided to most other tourists. In summary, we loved our guide, our driver, and our itinerary. 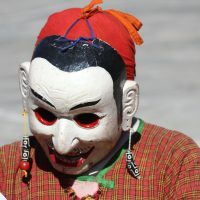 We just suggest that for future travelers, you make a greater effort to ensure that all of them have vehicles with the most basic conveniences, and that you not only make all possible efforts to avoid them having to make the almost 11 hour drive from Bumthang to Paro, but that if that proves necessary, you ensure they can travel there comfortably and safely. Greetings from India! As you may be aware, I continued my travels here in India after departing Bhutan. And I can state without a doubt that I truly miss Bhutan. An amazing culture, kind people and beautiful landscapes! In terms of specific feedback regarding the trip, I will begin with some constructive criticism. 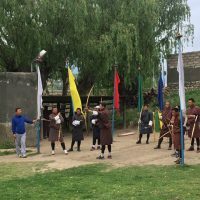 It would be good, I think, to work with the guides (perhaps both the senior guides and those new to Windhorse, who might have a fresh perspective) to review the itinerary of the Drukyul Walking Tour. It seems that nearly every day we had to change what was noted on the official itinerary. Dropping some places, adding others. Of course, this makes for some flexibility depending on the group's wants and needs. But I think a more streamlined version would be helpful that noted either-or options, which the guides could then discuss with the group at the end of each day. Additionally, since the official tour name includes "walking," I wish we had done more of this, particularly hiking. So many groups simply move around by bus. I think the best parts of our trip were when we got away from these crowds and visiting more remote temples and monasteries. The monks seemed to enjoy our visit, and we felt most welcomed. And "off the beaten track" certainly would hold a strong marketing appeal in the West. So perhaps an itinerary that balances the "must see" places with those known only to the locals, a glimpse behind the "tourist" curtain! Having noted all of the above, the trip truly was splendid. Both Pema and Jigme were kind, knowledgeable and professional. The experience of Bhutan will long remain with me. And throughout the planning and booking process, I truly appreciated the kind and timely communications with the Windhorse staff. I plan to return in 2018 for the Tour of the Dragon mountain bike race and hope to work with your fine company again at that time. I truly hope that all of the above is helpful to you. But should you have any further questions or concerns, please don't hesitate to contact me again. Wishing you continued success with your business and abundant happiness in each moment! I am finally back home from my trip. I would like to send you this email to thank you for the great trip and the service WindHorse has provided. Bhutan is the 2nd most beautiful place that I have seen in the world. Except one incident with the hotel in Trongsa, I have a lot of positive comments to say about WindHorse and the itinerary. I am sure you have put a lot of thoughts about the proposed walking itinerary which is the best to my opinion. The flight to Bumthang made a lot of sense. Starting from Bumthang back to Paro is better than starting from Paro to drive to Bumthang and fly back. Bumthang is too beautiful and needs all the energy to see it at the beginning. I am not too excited about big cities like Thimpu so leaving it at the end worked very well for me. Seeing the wilderness before seeing big crowds of tourists is always best. I am planning to see more of Easern Bhutan in my next trip, maybe in the spring of 2018, combining with Tibet. I am not worried whether the road project in Bhutan will be done or not by then. 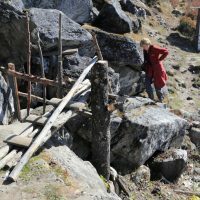 I would like to do a private tour with light hiking in Bhutan. If I could get friends to join, that would be great, otherwise it will be just me. I will work with you again in 2017 for the itinerary. Your staff, Kinley and Jimmy, are the best. Kinley knows the trails very well and Jimmy is the best driver, to my opinion. I will post my reviews in the next couple weeks. Once again Thank you. TID 8556 - Private Drukyul Walking Tour- Dec 02 - 14, 2014 (Guide - Yonten) We want to Thank Windhorse tours management and organising staff for their wonderful service and taking the time to promptly answer any and all of our questions. You were so easy and great to deal with. Food The food in Bhutan – Excellent – We can’t rave highly enough about the wonderful food. It was healthy, tasty, filling and the best vegetable and rice dishes we have ever eaten. And there was so much of it. Coming from a warm country we are not used to such big meals and had to ask to have a smaller number of dishes as we felt bad leaving food behind. With all the walking we did, and ate like kings; we didn’t put on any weight (we actually lost some). Sebastian had plenty to eat. He pretty much had one of everything on the table, apart from the chilli cheese, but he did try a small bit of that a couple of times too. Hotels The Hotels – I cannot fault any of our hotels. They were clean, warm and had excellent service. The architecture on some of these buildings was magnificent. The rooms were huge. If there was any issue the staff were more than happy to help and had it fixed before you returned to your room that day. And again the staff and meals were excellent. Flexibilty in itinerary Access to the monasteries - Yenten was fabulous in arranging access to the monasteries in advance so we didn’t have to wait and waste time. There will always be times some things are not open and that is understandable. It was good to be able to walk between sites when possible this was a big plus and a great way to see the country. Guide Yenten – guide – Yenten was a wonderful guide. His knowledge of the monasteries and Bhutanese Buddhism was fantastic. As Buddhists we follow a different tradition but we could relate to what he was saying and it was interesting to have discussions about the differences in the two traditions. Driver Yamraj – driver – Yamraj as a fantastic and skilled driver. We have never been so close to the edge of a mountain side or another truck but we were never scared and trusted in his driving and ability to negotiate every turn. He also has and great sense of humour laughing at Sebastian’s jokes. He is a very quietly spoken gentle person who had so much time for Sebastian who was keen to involve him in everything we did. We were told Yamraj was getting married later this year. Good luck to Yamraj and his future wife. It is now more than a month since we finished our trip with Wind Horse. It was truly the best trip we've had in a very long time and one we've been hoping to take since the mid-80s. I know the places we visited are places that many tourists see; however, Duba, our guide, introduced the places in an understandable and relevant way. Chimmie, our driver, kept us safe on the roads and managed the blocks so as to minimize the time we had to spend waiting for road openings. Our accommodations were all fine and ranged from OK to amazing. We loved the Lechuna Heritage Hotel in the Haa valley, the Khang Residency in Thimpu and the Hotel Dewachen in Gangtey. TID 8721 (March 4-17) 2015 Guide Duba Hello Anand - Firstly, we want to tell you how amazing our guide was! Duba really made our trip. He was professional, punctual, knowledgeable, kind, and exceptionally friendly. For example, our guide would always rush to open our door, carry our handbags, and would ask us how we were feeling. Dear Anand, I apologize for my slowness in answering your letter. Since our return from Asia some 10 days ago, we have been busy doing chores. We loved our trip! It was everything we had hoped for. The itinerary allowed us to see many parts of your beautiful country and interesting culture. Attending the Tharpaling Thongdrel, while in the itinerary, was an unexpected highlight. Tashi, our guide, and Sonam, our driver, were excellent. Tashi and my husband liked to joke with each other which made our hikes and walks extra enjoyable. Someday we hope to return to Bhutan to visit the eastern portion of the country and would again want to use Tashi and Sonam. Hello - We enjoyed our trip to Bhutan so much that it is difficult to find the proper way to talk about it with friends and family. The people everywhere were so gracious most especially our guide Yeshi and driver Tashi who both were always early for each day's excursion and were easy going, confident, and interesting in sharing their knowledge of life in Bhutan with us. The country was breathtaking, all the history and lessons on Buddism were so helpful in helping us to appreciate the places we visited. We were really pleased that you talked us into a walking tour because we both felt the walks and hikes we took were the best part of the experience. We would have loved to stay another day with the Black Neck cranes in that valley to just enjoy the quiet there. The hotels were fine though we were not happy with the hotel which was under construction - very cold and seemed not completed. (I think it was the Jakar Mountain Inn in Bumthang). At the same time the staff who served us in the dining room were probably the most welcoming of all the staff we met. We want to recommend the trip to the Haa valley - which was the highlight of our travels. We felt it came the closest to a real Bhutan experience - we loved the farm house we stayed in. Yeshi was really helpful in adjusting the schedule when it was necessary or helping us figure out what to choose if we had options. We would definitely recommend to anyone interested in traveling to Bhutan that they use Windhorse tours. I am including a couple of photos (we took hundreds!) and please let us know if there is anything more we can share about what truly was a trip of a lifetime for both Richard and I. Thanks for helping to make it so memorable! Drukyul Walking Tour(April 04-17,2014) TID 740 I am still traveling so this will be brief. Karma was a fantastic guide his knowledge was encyclopedic! He should be paid more as he is an asset to your company. Also Baliman was excellent as well. Could not have been happier with driver and guide. A few suggestions the Dochula restaurant was not the best and we ate there four times! Same menu served two and half of the times. The communication with Minneapolis could have been much quicker, clearer and more responsive. The other women on the trip almost cancelled due to this. I received a tourist questionnaire at Paro airport asking if I got a discount for staying more than five nights! I did not why? TID 692 Drukyul Walking Tours (12.11.13 – 25.11.13) When people ask me what my favorite part of Bhutan was, I have to say that it was seeing Bhutan through our guide Sonam's eyes. Being in the presence of a devout Buddhist and hearing stories of his life and the people of Bhutan was remarkable. His enthusiasm made me feel like we were his first personal guests in Bhutan! While most people seem to really like their guides, I am convinced that Sonam is the best la! I felt I truly entered another world, so different from my life in the USA and my earlier travels in Scandinavia. Every day of our tour was an adventure and we were blessed with blue skies and sunny weather the entire 2 weeks. Potential travelers should not take lightly the altitude and the nature of the roads. I really hadn't anticipated that they would be so challenging; be prepared with altitude sickness medication and patches for car sickness. Our driver, Barleman was the best. It was a little scary at first on the left side of these narrow roads but we soon found we could put our full faith in his driving skills, sit back and enjoy the view. There were 4 travelers in our tour and this seemed perfect. We definitely saw tons of temples and I felt like I was visually drunk on their beauty. 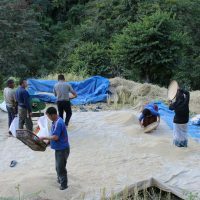 I loved the walk through the valley farms where we saw the harvesting of rice taking place. As other travelers have noted, the accommodations were adequate, but even with space heaters, I wore warm clothes at night at times. The food; yes, much is written about the food. We had very good food at the YT Hotel and at the restaurant near the Wind Horse office in Thimphu. Otherwise, the food was monotonous and I have to say after two weeks, it was hard to face another "buffet". For a couple of foodies, we learned to" eat to live" instead of "living to eat", which is a valuable experience in and of itself, and part of immersing yourself in a culture void of the fancy restaurants and emphasis on food elsewhere in the world. There were two things I would have enjoyed which we did not do; visit a school and have an opportunity to spend time with some local families. Since we were never at a loss for things to do, I didn't specifically request this, but in retrospect I think we could have sacrificed a few temples for this. This tour was more than I could have envisioned and will live long and vividly in my memory. Thank you Wind Horse! 5 " " TID - 692 - Drukyul Walking Tour (12 Nov - 25 Nov, 2013) I couldn't have asked for a better Bhutan experience! We were a group of 4 very compatible women. Sonam,our guide and Barlemon, our driver absolutely made the trip zing. The country just came alive because of Sonam's excellence. TID - 692 - Drukyul Walking Tour (12 Nov - 25 Nov, 2013) I couldn't have asked for a better Bhutan experience! We were a group of 4 very compatible women. Sonam,our guide and Barlemon, our driver absolutely made the trip zing. The country just came alive because of Sonam's excellence. Walking from village to village along the many footpaths was certainly the highlight of the trip. We were able to experience the local residents rather than see the country from the window of the van. The hotels were exactly what I expected - basic and clean. Same with the food. I agree with my tripmate, Susie P that having Nalgene refillable water bottles for sale with Windhorse logo would have been a nice touch. Another nice touch would have been one 'gourmet" meal to break up the monotony of the buffets. Overall, the trip was simply the best. Thank you Windhorse. I couldn’t have asked for a better tour! TID-692 Drukyul Walking Tour (12Nov – 25 Nov,2013) Hi Anand,The trip went wonderfully, I couldn’t have asked for a better tour! TID-692 Drukyul Walking Tour (12Nov – 25 Nov,2013) Hi Anand,The trip went wonderfully, I couldn’t have asked for a better tour! I want to thank Wind Horse for setting us up with a fantastic guide Sonam and driver Barlemon. Positives: I liked how the tour incorporated walks and hikes, yet gave us enough time to relax at the hotel in the evening. Time management was efficient, our days were packed with enough activities. Excellent tour guide, driver, and tour mates.Small group, 4 people seemed like the perfect size. I saw some other groups with 10 plus people and I thought that was too many.I enjoyed Hotel YT and it’s staff. The staff and the owner YT were very friendly. I also liked Dochula Resort because it had the warmest rooms! The heater in the room, bathroom, and electric blankets were a nice touch. Negatives: Not many, just little things. Hotels did not have constant stream of hot water. It may have been just me as my other tour mates did not have as many problems with the hot water as I have. Mountain Lodge is a beautiful hotel, but where I experienced the most problems with hot showers, I couldn’t only take a hot shower for a few minutes before the water ran ice cold. After an hour or so the hot water would start again but still only a few minutes. Food was plenty and very good, but became redundant, all hotels and restaurants pretty much served the same food.Altitude was a factor for some people. Maybe the final document should emphasize this more, or have the tour leader have some extra diamox or altitude medication as an emergency as the pharmacies there will not administer it without a prescription. But this was only around Dochula.Once we went back to Paro everything was ok.A suggestion that was brought up by another person on the tour: Water bottles. I brought my own diamox and was drinking a lot of water, I ended up buying large water bottles in the hotels and general stores because the small water bottles provided daily were not enough for me. Although the free tea at the hotels were sufficient, I needed more fresh water. The small water bottles I thought added to waste. Maybe Windhorse can provide large water bottles (like a nalgene or camelback) with the Windhorse logo for sale , and can just refill that from filtered water or large bottles. Overall, it was a trip of a lifetime and I will always cherish my time in Bhutan. 5 " " TID 684 Drukyul Walking Tour (14.10.13- 27.10.13) Hello, I just want to let you know that your tour was superb. I am so very satisfied with your tour to my favorite country Bhutan. Prenjor, our guide was terrific, so very caring and fun and careful with us. The driver was superb. 5 " " Dear Ugen, These are very late comments on a wonderful trip we had to Bhutan with Windhorse Tours. My wife Sandi had dreamed of seeing the Himalaya's since she was a little girl. We were very happy with the advanced information that was provided. We were well prepared for the trip. Tour ID: 512: Bhutan Walking Tour from 25 Sept -08 Oct, 2012 My trip was perfect. I could not ask for better guide pema and better driver dawa. Pema was full of knowledge and my driver dawa made me feel safe and I was looked after like a queen. The accomodations were more than what I expected. Thank you for a wonderful experience. 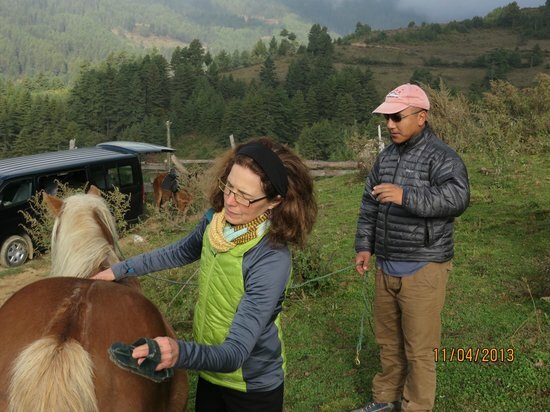 I would not hesitate to recommend Wind Horse Tour company or bhutan for a magic and care-free vacation, full of beauty and adventure. Durham, North Carolina March 26 - April 8, 2012. Drukyul Walking Tour Talo & Paro Tsechu 2012 (March 26 - April 8, 2012) Dear wonderful people of Windhorse, Thanks so much for providing us a fantastic opportunity to visit the beautiful and fascinating country of Bhutan. Our guide, Jyampsho, was an absolute joy. 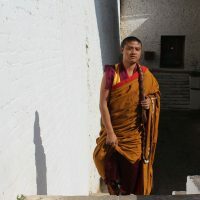 One of our reasons for wanting to visit Bhutan was to learn more about Vajrayana Buddhism and we could not have been luckier than to travel with Jampsho who is so knowledgeable about Buddhism, and so generous is sharing his knowledge. 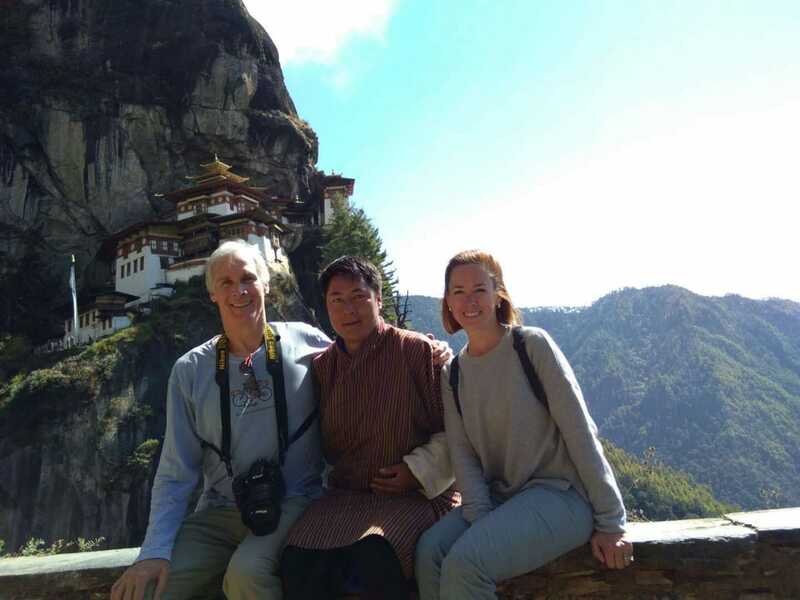 We did the Drukyal Walking tour, and thoroughly enjoyed all of the hikes, the sites along the way, and the dzongs, festivals, and all other destinations. Jampsho made me feel very safe, even on steep trails, where my fear of heights was evident. He was organized, thoughtful, and very smart about revising the schedule when there was good reason to do so. Our drivers (Tshering and Kinga) were both excellent and managed the curvy roads with great skill. We appreciated the organized way Windhorse went about setting up this trip and will recommend you to friends who are looking for a great adventure. Thanks so much! Walking Tour for Wilson, Pezzack & Party 03 – 16 Oct,2011 Hi Guys, Thank you for an excellent adventure and very well-guided tour in Bhutan. It was a fantastic experience and one I'm extremely privilidged to have had the chance to visit your country. I would be happy to leave some positive feedback for you on the sites you suggested. I'd also like to ask you a favour - I have misplaced the email address for our guide, Pema. Coud I ask you to put us in touch by sending me his email? Much obliged and much thanks to you. Happy new year! Potsdam,Germany Mar 17 -27 . 2011. Drukyul Walking Tour with Jampay Festival : Oct 17 2010 - Oct 30 2010 Ugen, my wife Carolyn and I arrived safely home last night on our Cathay Pacific non-stop flight from Hong Kong, after a wonderful 45-day trip to Nepal, Bhutan, Bangkok and Siem Reap, Cambodia. I wanted to send you a note immediately to let you know that all of our arrangements worked out perfectly, regarding flights, tours, hotels, guides, visas and the myriad other details that helped to make it such a wonderful experience for the both of us. I sincerely appreciate your patience with me as we made all of our arrangements together. That time and effort ensured that the trip was perfect in every respect. I have 90 pages of notes in my diary.We knew going in that it would not be an easy trip and it challenged us both physically and mentally but it was a trip that we will remember for the rest of our lives. I was very pleased with the hotel choices and the arrangements in both Nepal and Bhutan were just what we were looking for. Your agent in Nepal was excellent. We both felt completely safe and well cared for throughout. We enjoyed Kathmandu and the temple visits there. 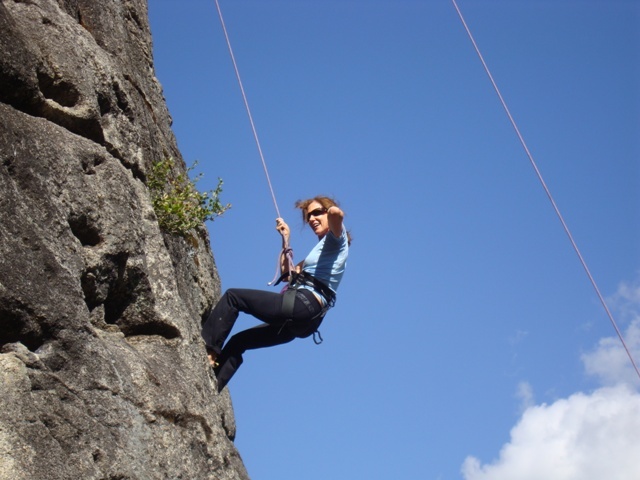 Although the climbing, impacted by the altitude, was strenuous at times for us and Carolyn felt the change in water and food during the first few days, our guides were very sensitive to both our needs and to how we were handling the trip. The routing for the Everest view trek was perfect! We thought that Tengboche at 4,000 metres was amazing as we sat for 2 hours at dawn in the monastery, watching and listening to the prayer service of the monks. This was the beginning of a festival and the service was a special one, complete with "yellow hats" being worn by them at one point during the service. The accommodation there was the most basic of the trip but the impact of the monks at prayer and seeing Everest in the sun as we came out made it very special indeed. The internal flights in Nepal worked well and the weather cooperated. Our stay in the remote village at a Ghurka home was totally unique and the warmth of the welcome that we received from the villagers was exceptional. Being also able to stay at Fishtail lodge and to climb up to the viewpoint to see the sunrise on "Fishtail" was another highlight. Our room looked out on the lake and up to the mountain and we could see it clearly when we came back down for breakfast. We also enjoyed our stay very much at the Rhino Residency Resort. Our guide there was also very good. Everywhere we went, people were eager to be of help, exactly on time and wonderfully supportive. We had a great time. Bhutan worked out very well. The "A" and "B" groups interacted and we enjoyed each other's company. The bus for our group of 7 was very spacious and comfortable and our driver was excellent. We always felt completely safe and his driving skills were amazing. Our guide was very good as well. I particularly enjoyed seeing the restored Tower at Trongsa and bought the outstanding book published late last year to bring home. It is a beautiful souvenir. I also bought a Dorje (diamond sceptre) and bell at the festival at Bumthang as another very meaningful souvenir. We were very sorry to hear of the fire there the night after we left and saw the convoy on the road, with the King's father, (K4), the Queen mother and a cabinet minister going to lend aid. The climb up to Tiger's Nest Monastery was another major highlight of the trip. The weather that day was absolutely perfect with a clear blue sky and an ideal temperature. It was a truly gorgeous day and an incredible experience. The only suggestion that I could make re Bhutan is to ensure that your clients take lots of U.S. dollars with them. With our time in Nepal, I did not have as many as I would have liked and with no ATM's or ability to get cash advances on a credit card I had to watch what I spent.After leaving Nepal and Bhutan, our trips to both Bangkok and Siem Reap continued to be very special. We stayed on the river at a very small hotel in Bangkok (the Arun Residence) at the tip of the Royal Island and it was magical. Our deck looked directly across at Wat Arun and we could sit and enjoy it in the moonlight! We were 2 minutes from Wat Pho! Our accommodations in Siem Reap were also perfect at a small hotel (Pavillon d'Orient) with outstanding service and touring the Angkor ruins was another major highlight of our trip. We stayed at the Bangkok Novatel Airport hotel the last night - that hotel and the airport are outstanding.All in all, a very special trip with enough memories to last a lifetime. We are now adjusting to the time change and will soon begin to sort out our photos of which there are hundreds. Ugen, I wanted you to know how much we enjoyed working with you and Windhorse. Thanks again for all of your help with setting this up, p.s. I found one more souvenir in Bhutan - a copy of a printer's block, that is used to make/print prayer flags. This one has a "Wind Horse" with the bag of jewels on its back. Another unique souvenir that will always remind me of your company, our trip and the prayer flags of Bhutan. k Sincerely, Ken and Carolyn Whiteside. It is a beautiful country, and we had a great time. Drukyul Walking Tour (March/April 2009) 7 pax Ugen, thank you again for all your help in arranging our trip to Bhutan. TID 177 and 179: Pretrip of Angkor Wat, Bangkok and Drukyul Walking Tour -13 Days (5-21 Oct, 2008) Ugen, Everything went well and we are very pleased with WindHorse and your Bhutan staff. Gallay and Singay were very knowledgeable and friendly. They were very professional. We are telling our friends what a great trip it was and we are giving them yours and Wind Horse’s name. I will be making a slide presentation at work of all our pictures. The Cambodia/Angkor Wat tour was equally great with your subcontractor. Thank you for a wonderful experience. Dear Ugen and Postak, I loved the trip to Bhutan and the extension to Ladakh that we experienced this past June/July 2006. 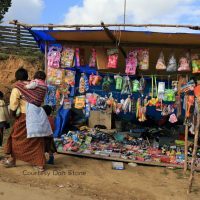 I believe that the trip wouldn\'t have been as enjoyable had it not been for the excellent guide in Bhutan, Choki Dorji, and the excellent driver, Rapten. (I hope I spelled his name correctly). Driving through the mountains with their curvy, narrow roads having to watch out for cattle, other animals, the roadside workers, our driver was awesome and safe! Even though other tour companies that I had contacted, did not have tours during the summer because of the monsoon season, you reassured me that the rain periods most likely would be at night, if any. You were so correct! I can only travel during the summer months because I am a teacher. How fortunate to have two other teachers from Colorado to make up our small group. The scenery was beautiful, people were very friendly, and we still were able to see two festivals with a minimum of any other tourists. 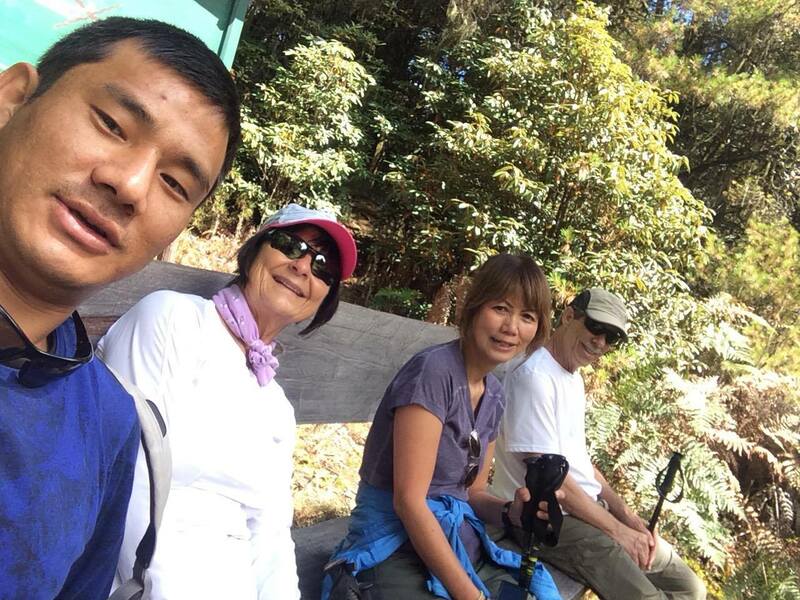 I wasn\'t expecting so many \"hiking\" experiences, but Dorji was very patient,helpful and encouraging. The accomodations were clean and had plenty of room. 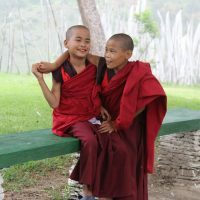 I can relive my beautiful memories of Bhutan through my photos and definitely hope to travel there again. Thank you for your careful planning and expert guide and driver who made this one of my favorite trips! Kado and Lal took great care of the group. The hotels were delightful- they were extremely comfortable and the staff was wonderful. We were pleasantly surprised with how nice the rooms were! The meals were tasty and plentiful – I love spicy food, so Kado made sure that every day we had Ema Datshi and ezee! The new bus was a great treat too! The group decided not to go to Haa and we stayed an extra day in Thimphu where Kado took us on a walk in the foothills-which was very enjoyable. Everyone was happy not to have to drive another day and enjoyed the extra time in Thimphu. We would have liked a little extra time in the Gangtey too- but we are not sure what we would have changed. We probably needed a few more days vacation (which we didn’t have!). As I am sure you heard that we were able to fly in business class on the Paro-Bangkok leg (it was very nice-thank you!) Kado refunded us $200 for the Bangkok-Paro leg. 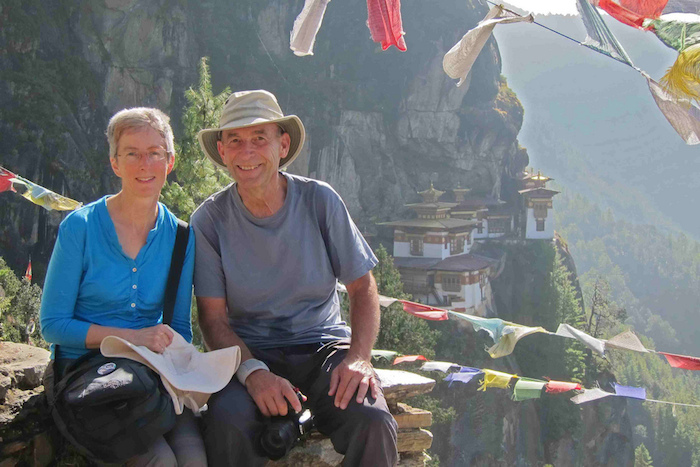 Tom and I truly loved our trip to Bhutan! We hope to be able to travel again to Bhutan in the future. We would love to do one of the many treks that are available. Thank you for your assistance in creating a wonderful trip for us! I am so sorry I did not write before now. Arriving home presented lots of complications, plus being sick with bronchitis which continues. First, our guide, Chencho, and driver, Renchen could not have been better. They were so responsive and sensitive to our needs and wishes. Really, I would highly recommend them again to anyone. I had some trouble understanding Chencho's English pronunciation, but do not think Eleanor or Christine did. The tour as set up was just fine. Eleanor might have better input on this and Christine, both very well traveled. Bhutan was disappointing at first as I expected a pristine environment and area, which certainly is not the case. I was surprised at all the stray dogs and how poorly they were cared for. The police even kicked them, which is far from what you read. Bhutan and their concern for animals. Also, the trash everywhere was disappointing. The education system seems so good, why can't they be taught to throw trash in a container. The other thing was hotels which was corrected. The first hotel was terrible and was changed. After that it was ok as were the restaurants. I left sadly saying good-bye to Chencho and Renchen as they were very special. I would like to go back and hike with Chencho someday. It was a very good time, just wish it had not been so expensive. Also, a little more free time would have been nice. I do not need to see any more temples. Eleanor had more traveling before she was to get home, but I am sure she will write when back in Australia. All 3 or us had been on the road awhile before Bhutan, so getting home and trying to get back into the old routine is difficult, but given time, they will write. I have not heard from them either, nor have they from me. Thank you and when and if I think of more, will write. 5 " " Drukyul Tour - Spring 2005 The tour was absolutely amazing!!! Thank you, thank you! 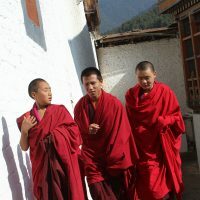 The accommodations were great, I especially liked Tamshing in Bumthang (people, location, etc…) – but all were fantastic. The food was good too! 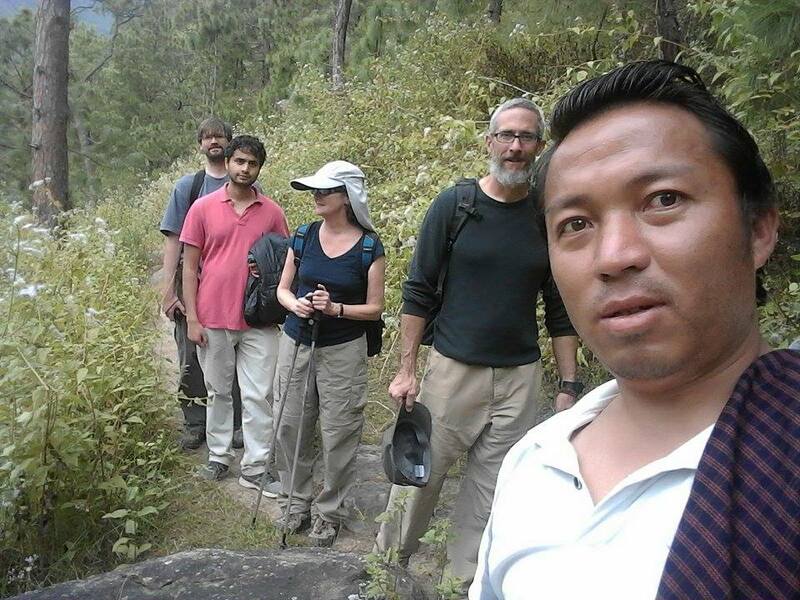 Dorji was a great guide and put up with all of us quite well. The tour was absolutely amazing!!! Thank you, thank you! 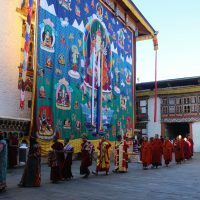 The accommodations were great, I especially liked Tamshing in Bumthang (people, location, etc…) – but all were fantastic. The food was good too! Dorji was a great guide and put up with all of us quite well. The driver (I don’t know how to spell his name) was amazing as well. They were both quite punctual, highly considerate, and both just fun to be around. They couldn't have been better. Guide: Choki Dorgee, Driver: Kesang Pre-trip:I was provided adequate information about the trip prior to going to Bhutan. In fact, it was quite detailed. The one thing which could be added was clarification of choices. Since this was clearly focused on walking, and I was also very interested in culture as well, I would have liked a few options, such as staying longer at festival, more time in Thimpu to visit the art school, folk museum, fabric centre, governmental cultural offices, etc. 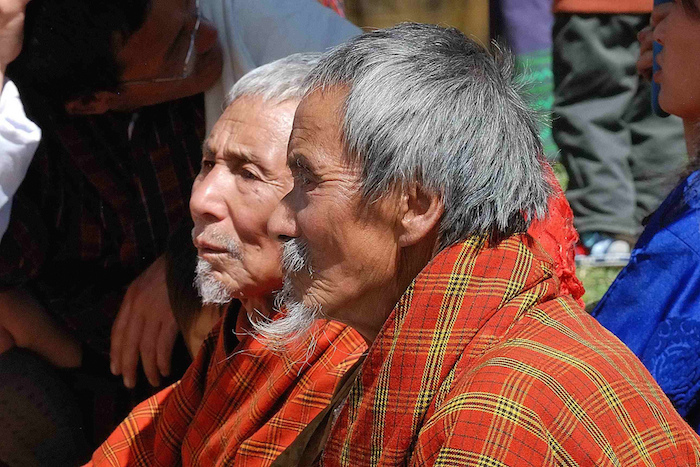 Guide: We were met by Dorgee and Kesang with much courtesy, cheerfulness and attentiveness. I think both Dorgee and Kesang are first rate – really superior. I have traveled with guides in Cambodia and Vietnam, and Dorgee really was more sensitive to our needs. Of course, this was a small group – but he went beyond expectations most of the time. Dorgee did his very best to fulfill the itinerary. He was a very sincere, thoughtful and explicit guide. He was also generous and funny. Cambodia, Thailand & Bhutan ( Mar &April, 2006) Dear Ugen, I just returned from 3 weeks in Europe--got in at 2 A.M. today and am still bleary-eyed, but read your e-mail and again I want to tell you how much we all enjoyed our trip to Bhutan, Cambodia and Thailand This spring. Everything you arranged went smoothly and we had such good guides and pleasant accomodations. We were able to go to the family compound of our driver and have a drink and learn how they made noodles! We even went to the village home where the son of one of our ladies was married! We interacted with the local people and found them all to be so nice and friendly. We met with monks and saw the annual ceremony at the Crown Prince's Chorten near Punakha and were able to talk with the senior monk there. The sounds of the chants, smell of incense and sight of the monks and Lamas will stay with me forever! The highlight of our trip was the horseback ride and hike to the Taksang Monastery. What an incredible experience that was! A beautiful day, wonderful sights, kind people---GREAT! And the Paro Festival was such an experience! A real Kodak moment! Especially when one of the clowns took a liking to me! Yikes! Our time in Angkor Wat and Angkor Thom was outstanding also. I do believe we saw every temple and shrine in that part of Cambodia and the boat ride on Tonle Sap Lake was unbelievable!! What an experience! Dear Ugen I returned HK yesterday after 14 wonderful days in Bhutan . I r eally appreciate Wind Horse' professional supports in planning my itinerary and the cares rendered so far. As evident by your goodself , my guide Mr. Karma Krinle Oser, as well as the Bhutanese I've encountered during the trip, I totally agree with the remarks made by other travellers that Bhutanese are amongst the friendliest and most hospitable that one is ever likely to come across. 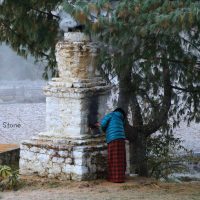 A lady burning incense in Chorten – A belief that keep the evil at bay and bring peace. A walk over makeshift wooden bridge.